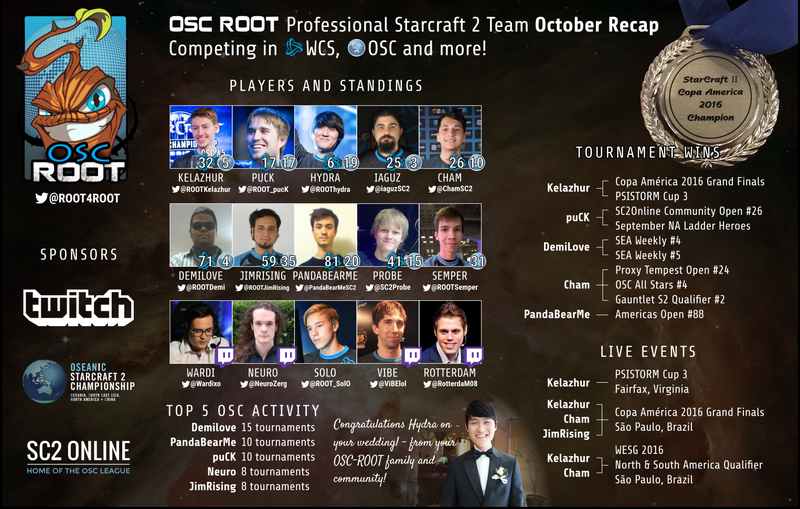 SC2SEA.com - Starcraft 2 SEA eSports Community Site > Site Portal Forums > Latest News > OSC launches player Sponsorships + forms competitive team OSC ROOT! THE NEXT STEP IN OUR GOAL OF SUPPORTING SC2 PLAYERS AND GROWING THE SPORT! We have selected an elite group of proven tournament performers to support, and form our own Competitive Team. We will be providing them all with a competitive industry standard salary, $ incentive opportunities (such as ongoing position in OSC World Rankings + participation bonuses), and travel support! Here they can represent us not just in our league, but other competitions around the world! The Sponsorships/Team will be run and operated separately to OSC League Management. We also support an Extended Squad , consisting of up and coming players and streamers, which can provide a pathway towards greater glories! These players are a key part of the OSC ROOT family, as at it’s core, ROOT + OSC both aim to support players improve, and believe stacraft is about having fun, and interacting with the community – and this is where some of these players excel! Should these players opt to become more active in tournaments, we will support them transition into the Pro Squad. Anyone can apply for a spot on the squad, but applicants will be carefully selected and positions will be limited. We're still going through applications for the Extended Squad, not too late to apply! Include your ingame ID, ingame race, battle net profile link, stream channel, and social media platforms in your applications. Apply Here! 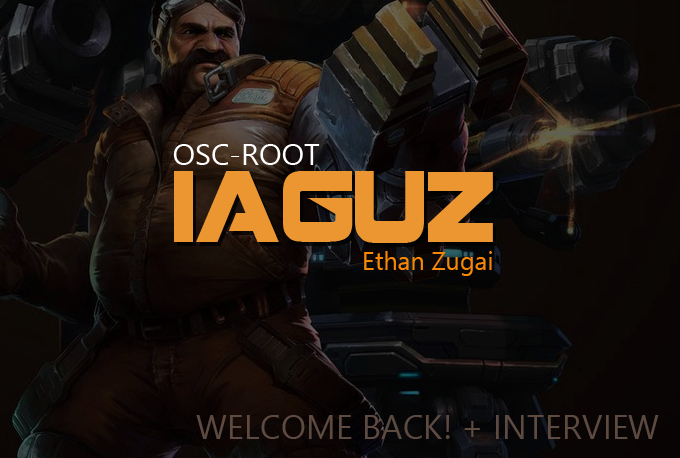 OSC ROOT pickup SEA favorite iaguz today! + OSC ROOT New monthly visual recap! We hope you continue to cheer on the players as they compete on the world stage!